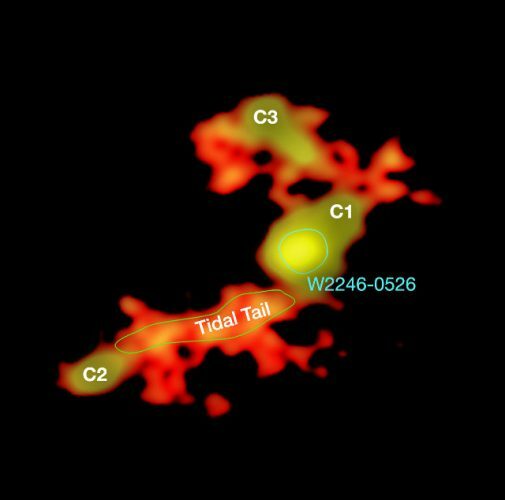 An article published in the journal “Astrophysical Journal Letters” reports the discovery of the brightest quasar in the early universe. 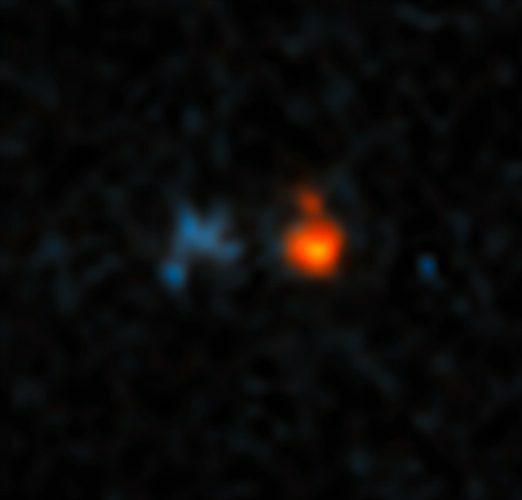 A team of researchers used observations of the Hubble Space Telescope and some ground-based telescopes to identify the galaxy cataloged as J043947.08+163415.7 at a distance of about 12.8 billion light years from the Earth. 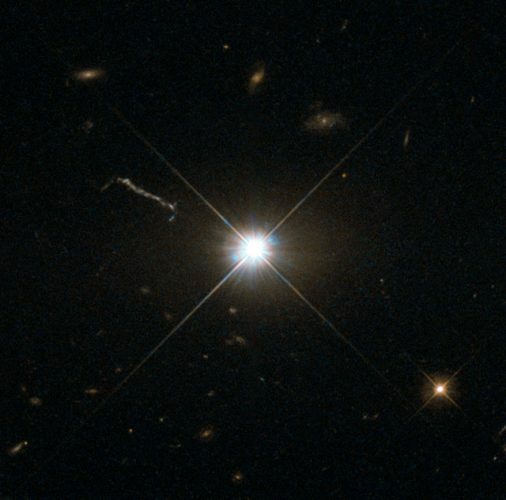 The supermassive black hole at its center is surrounded by a lot of materials that emit the huge amount of light that allows it to be identified even at that enormous distance, but only thanks to a gravitational lensing effect. That activity dates back almost a billion years after the Big Bang. 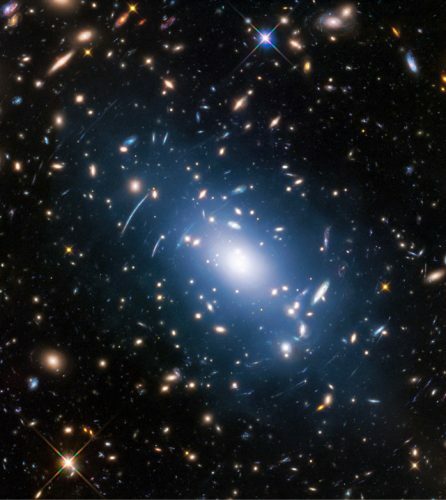 An article published in the journal “Monthly Notices of the Royal Astronomical Society” describes a new method to detect and map the dark matter existing in galaxy clusters with a higher precision than those used so far. 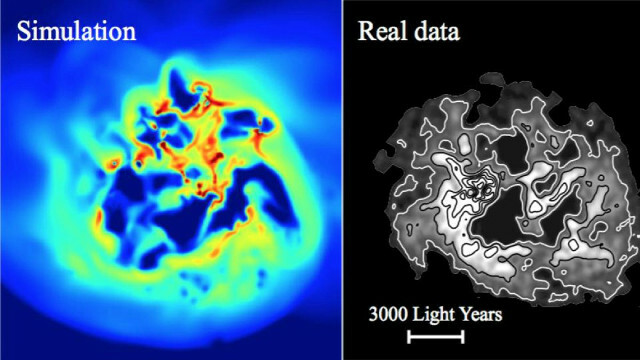 Mireia Montes of the University of New South Wales, Australia, and Ignacio Trujillo of the Canary Islands Institute of Astronomy, Spain, exploited the so-called intracluster light, the faint light within galaxy clusters produced by their interaction, detected in the Hubble Frontier Fields program, to map the distribution of dark matter within them.